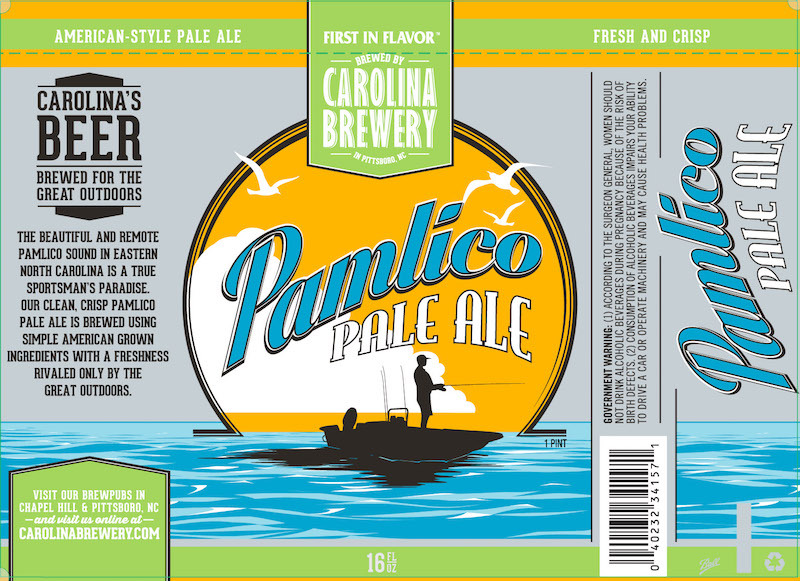 (CHAPEL HILL, N.C.)— Carolina Brewery, craft beer pioneer and Chapel Hill institution, is releasing a brand new year-round beer to its robust gamut – Pamlico Pale Ale. This clean, crisp pale ale is available in 16-ounce cans and on draft at both Carolina Brewery locations, Chapel Hill and Pittsboro, and will also be found throughout North Carolina, Tennessee and South Carolina this March. Description: The Pamlico Sound in Eastern North Carolina is a true sportsman’s paradise. The crisp Pamlico Pale Ale is brewed with a freshness rivaled only by the great outdoors using simple, American-grown ingredients. The clean, medium-bodied ale has a balanced finish and is perfect to enjoy anytime, anywhere. Carolina Brewery’s goal remains the same with every beer crafted by the brand: to brew the best local craft beer out there, using only the highest-quality ingredients and techniques available. On tap now at both Carolina Brewery locations and available in 16-ounce cans starting this March; distribution begins on March 1 where Carolina Brewery is sold. Also available in 1/2 BBL and 1/6 BBL kegs. Cofounded in 1995 by Robert Poitras, Carolina Brewery is a North Carolina institution with two brewpub locations in Chapel Hill and Pittsboro— each serving fresh, made-from-scratch entrees using local ingredients. The brewery is the fifth oldest in the state and a pioneer for craft brewing throughout the country. Carolina Brewery has received numerous accolades in the press and at respected beer festivals throughout the world, including the gold medal at the Great American Beer Festival, over a dozen medals at the World Beer Championships and many more. A graduate of the Siebel Institute of Technology and World Brewing Academy in Chicago, Jon Connolly has served as Carolina Brewery’s brewmaster for more than 20 years. Carolina Brewery’s beers are available at restaurants, bars and shops offering craft beer throughout the Carolinas and Tennessee. For a full list of Carolina Brewery’s handcrafted beers— all of which are brewed in-house— please visit CarolinaBrewery.com.